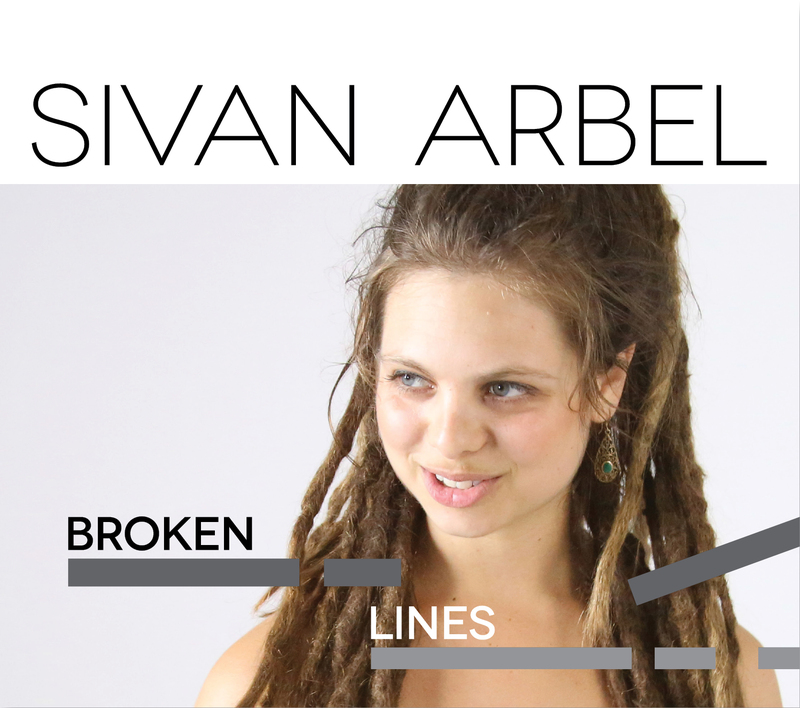 Vocalist and composer Sivan Arbel is proud to announce the June 1st release of her debut album “Broken Lines”. With her debut, Arbel breaks the mold with angular yet beautiful melodies, sophisticated arrangements and emotionally charged lyrics that bring listeners on an unforgettable journey into a new realm of contemporary jazz. Six of the seven tracks are original compositions and each one tells a unique and compelling story with each lyric carefully crafted and bolstered by the musical current below it. “Every note I sing and lyric I write has enormous meaning behind it,” she says. The deeply personal nature of the album is evident on “Analysis”, which highlights its emotional lyrics over dreamy arpeggios to cacophony, on the sweeping dedication to her father, “For Aba”, and on the driving “Open My Tube of Art”. On the Miles Davis-Bill Evans opus “Blue and Green” her creativity as an improviser and arranger is on full display. To celebrate the release of “Broken Lines”, Sivan will be appearing at Shapeshifter Lab in Brooklyn, NY on June 16th at 9:30 PM and at Club Bonafide in New York, NY on June 24th at 11 PM. Originally from Israel, Sivan Arbel is a graduate of the Rimon School of Music in Israel as well as the Newpark Music Centre in Dublin, Ireland. Before relocating to New York City in 2014, Sivan established herself as a prominent vocalist in Israel with her quartet and eventually went on to represent Israel in 2012 as the headliner at the Israeli Independence Day celebration in Venezuela. In 2014, Sivan represented the Newpark Music Centre in Cape Town, South Africa at the prestigious International Association of Schools of Jazz conference spearheaded by NEA Jazz Master Dave Liebman. Following the IASJ, Sivan made her move to New York City, where she quickly established herself as a rising star.